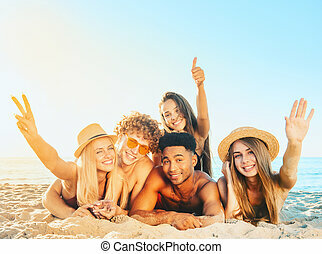 Summer, holidays, vacation, happy people concept - group of friends having fun on the beach. 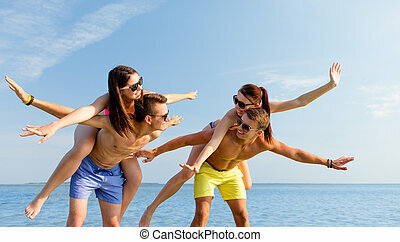 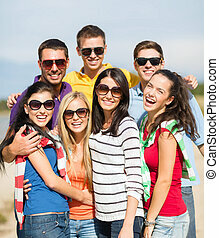 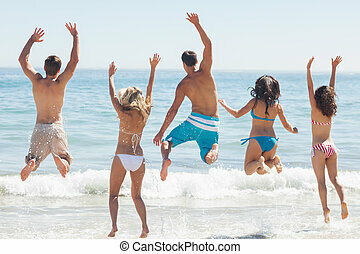 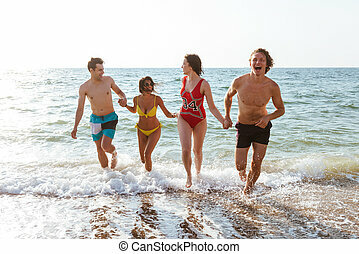 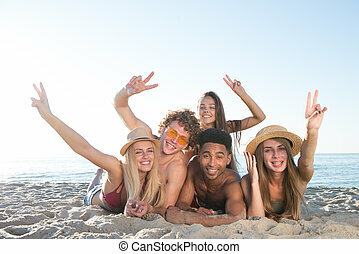 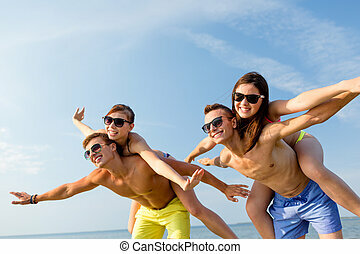 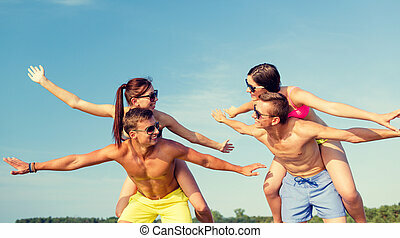 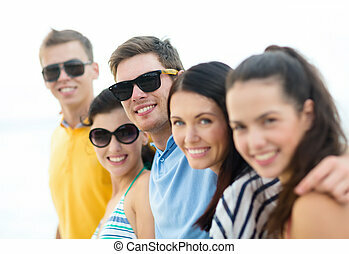 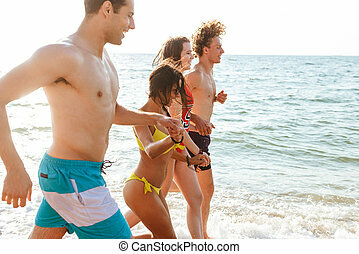 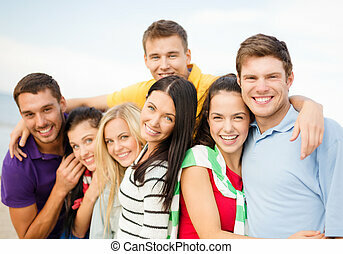 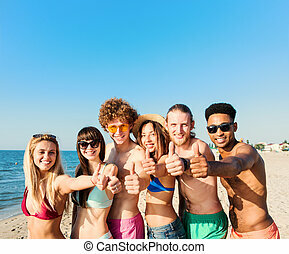 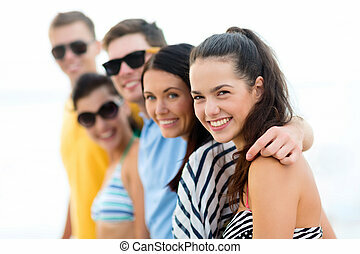 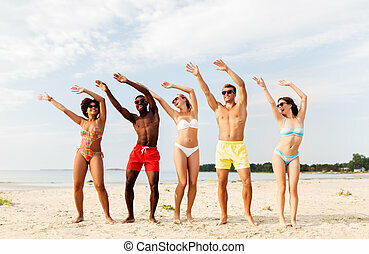 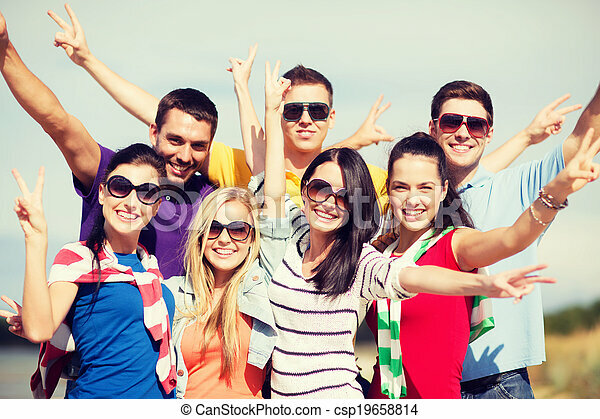 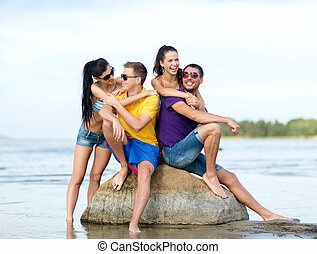 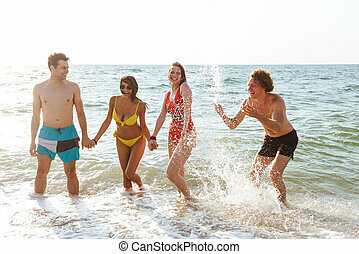 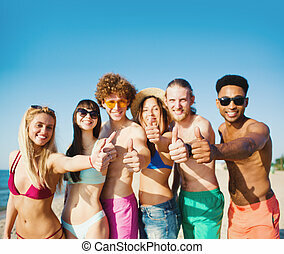 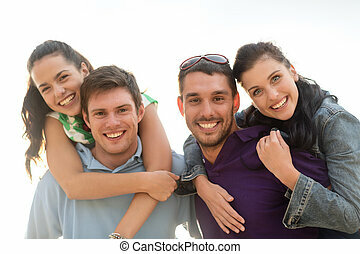 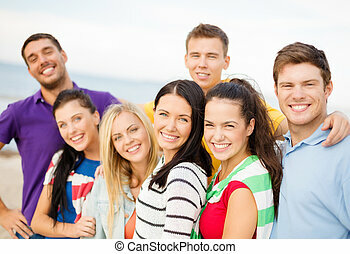 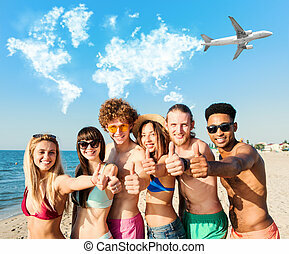 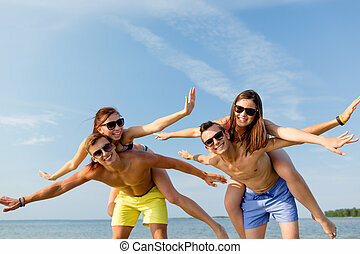 Picture of young group of friends having fun on the beach outdoors. 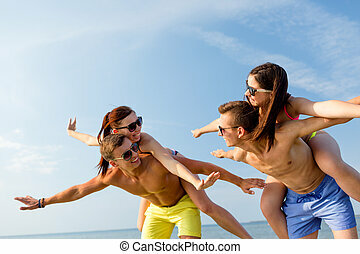 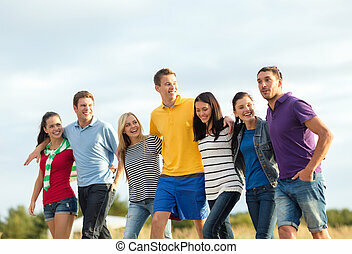 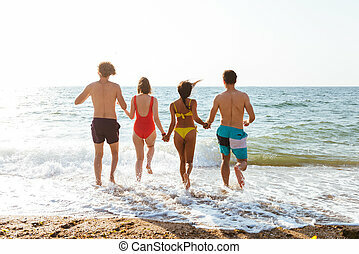 Back view image of young group of friends having fun on the beach outdoors.